I enjoyed speaking with Bill Boorman and his other guests yesterday. And I also look forward to speaking to many of them again at Bill’s second HR and recruitment unconference, TRU London 2, where I’ll be one of Bill’s track leaders, early next year. I’m particularly pleased to be participating after deciding, maybe incorrectly, that travel time and costs would make attending last year’s HRevolution event in Louisville, Kentucky unproductive, and missing TRU London 1 while I was up at the CIPD conference. You can learn more at some of the reviews of TRU London 1 earlier this year – eg this blog post and this podcast (although if you listen to the podcast please note there weren’t hundreds of us tweeting from the CIPD conference – only about 8 of us really – we just did a lot of it; we did have fun there too; and this blog was included in several of FOT’s power rankings well before Andy Headworth!). And you can buy tickets for TRU London 2 here. Note that ticket prices are well below those of a traditional conference. If you don’t think travelling to London for this would be productive, I can understand, but you might be wrong (as I think I was about HRevolution). But no worries, as Bill plans on taking TRU on a world tour as well. So there you go. That also wraps up all I have to share with you about my current plans for January and February 2010 too. 18 and 19 February: TRU London 2. There’ll be a few other things too – including trips to Nigeria, Bahrain and back to the UAE (as well as quite a bit of client work coming up), but I’ll let you know about these additional activities next year. In the meantime, stay tuned for more HCM and HR 2.0 related posts over Christmas and New Year as I’m going to be trying to catch up with some of the things I’ve not managed to post on earlier on. You can also check out some other great HR and recruitment shows here. I’m also going to be doing more conference blogging in 2010. Do let me know if there’s someone in this list you think I should particularly try to see. And if you’re attending (particularly if you’re one of the people in the list above), do let me know and let’s meet up. I've been following John Sumser’s developing list of top 100 HR influencers with much interest. There are some great stories in here – some about people I feel I know quite well, but quite a few of people I’ve never come across as well. However, in the spirit of authenticity, I’ll admit that my interest is partly to see if my own name comes up. I don't actually think it will, partly because the list is rather US-focused (where are the UK's David Fairhurst, Angela O'Connor, and other usual suspects from the UK conference circuit for example) and also recruitment-centric (it is supported by Recruitingblogs.com). And it's also, I'll admit reluctantly, because I probably don't yet have that much influence! In addition, as Sumser notes, people who have great influence online are rarely seen as influential offline - which I think is interesting, but means this list probably doesn't play to the way I spend my time. Still, I'm vain enough to think I might squeeze in at #99. Anyway, Sumser has now published a new list which has used algorithms to rank online footpints and identify the top 25 online HR influencers - and I'm on this one (at #20, but one of only 3 people outside of the US, and the single person on the list from the UK). Check the HRExaminer site for info on the other influencers. - This score (a percentile) is an estimate of the number of people who see the material. It’s a measure of the eyeballs or audience size. - This score describes the fit of the persons work with a cloud of keywords. Of course, people only establish significant internet footprints when other people read and link to what they have to say. So thanks to the other influencers, and other social media contributors, for linking here. And thanks to you for reading! Technorati Tags: Woohoo! I am the greatest! I’ll also be delivering the talent retention workshop in Bahrain. I’ve not been to Bahrain either but I have at least had some exposure to the country (see for example this case study from Batelco). I’m also planning to stay in Bahrain for some meetings on 10 and 11 February – so let me know if you’re there and you’d like to meet up. The retention of talent seems to be becoming more and more urgent as the economy (outside the UK at least) starts to slowly motor forward again. There’s a good summary of the requirement and some of the things employers can do to increase retention on Harvard’s Management Essentials, ‘Retaining Star Performers in Trying Times’. This article suggests that organisations need to ‘find the levers where the value to the individual is greater than the cost to the company’. And culture matters more than ever. Be realistic about people's anxieties and frustrations. Think that money is your only tool to motivate your employees. The article includes a nice couple of vignettes supporting these suggestions too. Anyway, the point of this post is that early next year I’ll be looking at these and other aspects of retention in a series of three-day workshops for senior HR practitioners and other business leaders responsible for talent management in financial services firms operating in the Middle East. We kick off on 2-4 February in Doha and I’m really excited about this as I’ve not managed to visit Qatar on any of my assignments in the region to date. If you’d like to attend the workshop, contact Daniel Jackson at Fleming Gulf (email: daniel [dot] jackson [at] fleminggulf [dot] com, tel: + 91 99 00388 366). You can also get a 10% discount through to 22 December. I’m also planning to be in Qatar for some meetings on Sunday 31 January and Monday 1 February – so let me know if you’re there and you’d like to meet up (you don’t need to be in financial services for this!). Tonight’s Talking HR show (#022) took the CIPD’s New Generation HR research that I’ve discussed before for a deeper and fuller review. 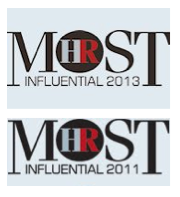 I’m really interested and impressed that Human Capital Management and HR 2.0 top your votes (have you see these two things mentioned anywhere else recently??? – perhaps at the top of this blog for instance? 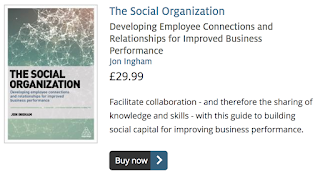 ), with both these options, and the Social Business scoring more highly than the CIPD’s suggestion, Sustainable Organisational Performance. And the show notes here (including all the resources mentioned on the show). Just time to get the show notes out from the last episode of Talking HR before we do the next show (#022, on Next Generation HR) tonight. For #021, I was joined by a guest host, MOK, from the Innovation Beehive. We discussed the importance of innovation during, and helping to exit from, the recession. And also HR's role supporting innovation - creating an innovative culture etc. We also reviewed a new book - The Silver Lining by Scott Anthony. Listen to the podcast: you can download the podcast to your hard drive or play it streaming from the web. You can also subscribe to the show at itunes. Talking HR is hosted by Krishna De and Jon Ingham and you can contact us with your thoughts and feedback about the show at talkinghrpodcast(at)gmail.com. I want to wrap up my series of posts on planning for 2010 (before 2010 actually starts in a couple of weeks time!) by writing about what I could / would do to help you plan effectively for next year in order to have more impact / create Next Generation HR / change to a New Leadership Paradigm etc. Having said that, the post isn’t so much about me (although it would be nice to help you raise your impact too), but about what I’d advise you to do to go about creating this sort of impact – and approaching this subject in a bit more of a practical way than I’ve posted on it before. The key to creating this higher level of impact is, I think, to ask the right questions. And then to think, deeply, about your answers, and not to be limited by what’s happening today. (It’s for this reason that I believe measurement has a limited role in HCM, and why I believe in Imagination Based HR – even if you, my readers don’t*). Therefore what role does HR need to play in supporting all of this (what’s your view of Next Generation HR)? And of your leaders and managers? Oh, and really at the top of the list, who needs to be involved in answering these questions (hint: everyone would be wonderful - whether this be through social media or a large scale event). * As Imagination Based HR has only received one vote in the quiz on my blog so far – and with just 4 days left for you to vote). Are you ready for the HR roller coaster? I’ve already posted on the drivers of change discussed in the CBI’s recent report, The Next 10 years. And here is my summary of the section on businesses’ responses. Hold onto your hats – it looks like it’s going to be a thrilling ride! Businesses will have to build, retain and make the most of knowledge and experience in the workforce while finances for training are restricted, there are major changes in the make-up of the population available for work and individuals’ expectations of work continue to evolve. Businesses will become much more proactive in their approach to talent management, placing greater focus on skill development. Many businesses will develop detailed skill roadmaps for their organisations. However, businesses will also focus on enhancing business productivity and achieving a greater return on investment in training. More training will be delivered online, or through other virtual learning environments, and in-house, rather than being provided face to face and outside of the workplace. New forms of partnership and collaboration, and new contractual relationships between employees and employers, are already emerging and will become more extensive. Changes in employment legislation over the past decade have allowed many employees to ask for flexible working (eg to manage family, health or educational needs) and Generation Y employees have also sought greater flexibility to meet their own ambitions. But now employers will also increasingly ask for flexibility and will use this as a core part of their business model. For some sectors – eg in manufacturing – annualised hours contracts will become standard. In retail, zero-based hours (essentially call-up contracts with trusted individuals) will be used more extensively to manage peaks and troughs in workload. Payment in time – eg time off for sabbaticals or charity work – is likely to become the new bonus in place of money. The recession has accelerated the need to address inefficiencies and non-core activities across the enterprise. It has also provided the stimulus for companies to re-think themselves and re-evaluate their future – allowing them to make organisational changes that will position them for the upturn and beyond, while building-in resilience and flexibility. Businesses will continue to focus on reducing their costs, shifting the balance between fixed and variable costs to improve flexibility. The trends in the location of the supply chain for intangibles will also become more complex. Communications technology now allows the supply of knowledge based services to be based anywhere in the world and businesses will move more of their process-driven intangible supply chain abroad to take advantage of lower costs. (This is the only one of my five areas that is clearly driven by the change drivers I reviewed in my last post, ie trust, social / demographic change and technology, rather than the recession and what is predicted will be a harder decade. Businesses are starting to recognise that demonstrating accountability will be part of the new ‘licence to operate’. Some businesses already invest significantly in governance and sustainability. This will become much more extensive and central to business with actions taken across all parts of the organisation and beyond. More senior management jobs will be dedicated to compliance, governance and risk management. But other managers and employees will need to support governance too. The implementation of a ‘no blame’ culture will be used by organisations to ensure mistakes are quickly uncovered and lessons can be learned. Leadership in businesses will be key to developing new cultures. 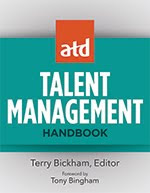 I’ve just got a few more posts to do on human capital / talent / workforce planning for 2010. 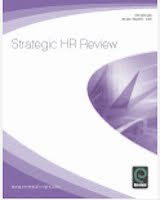 However, even though I promote the view that the energy for HCM should come from within the organisation (an inside-out perspective), organisations clearly need to take account of the broader and longer-term context too. One of the inputs that organisations (at least those based in, or with operations in, the UK) may want to use is the CBI’s latest report: ‘The Shape of Business – The Next 10 Years’ (thanks to Alice Snell for highlighting this on Taleo’s blog). Our expectations of businesses are increasing, and the internet gives us the power to ensure that businesses live up to these expectations, Businesses are under the spotlight and need the trust of their stakeholders to retain current degrees of freedom to operate. However trust in businesses and the profit motive have declined and are at risk of remaining depressed. 51% of respondents said UK businesses behave ethically - compared to 58% in 2006 (Institute of Business Ethics, 2008). To redevelop trust, businesses will need to demonstrate their ethical credentials. This relates in particular to executive pay, environmental responsibility and openness with information (I’m going to have to come back to this with another post). Businesses will be challenged to manage four different generations of employees, each with different motivations and expectations. In addition, although pension problems will force some older employees to work longer, businesses will still need to take action to address gaps in critical skills (including science, technology, engineering, maths and project management). Businesses will need to capture the knowledge and experience of individuals before they retire –and to retrain other employees, and/or seek new skills from elsewhere. Businesses will also need to adapt if they are to attract, retain and get the most out of the new generation of employees (an important point and again, the subject of a future post). Digital technologies are fundamentally changing business. Personalised web-based applications, cloud computing, real-time interaction and always-on web features are likely to become commonplace within 5-10 year years. Teleconferences, videoconferencing, webinars and remote working systems are all improving. Generation Y use these technologies in a different way and will expect increased technological capability at work. Businesses will need to increase their use of Facebook, Twitter and other web 2.0 and social networking applications. Businesses will also need to invest more in building their corporate cultures as a higher proportion of employees work away from central offices and/or reside in the periphery to the core of permanent staff. The report also suggests that businesses are concerned about the impact of technology on work / life balance (though this wasn’t seen as a major issue in a recent Google Wave on the area). More on the business response to these challenges shortly. But perhaps you’d like to think about how you’re going to respond to them first? Just when you thought it was safe to go back into the water! I’ve had some more work in the UAE cancelled as an indirect impact of the current debt problems there (although I hope that other work I’m planning will continue). So I’ve got some time over the next couple of months. Or just need some help at the moment? (I’ve got senior line and consulting experience across the full spectrum of HR activities). Give me a call. In my last post, I described my ‘ideal’ process for human capital / talent / workforce / HR planning. I also explained that the actual process I would hope to use with a client would depend upon their particular situation: strategy, context, challenges and opportunities etc. I think it also depends upon their views about Next Generation HR, which I’d define as the way in which they believe HR can best create value for their organisation. As I explained in my review of the CIPD’s session on Next Generation HR, I think there’s a variety of options available to organisations here. To me, Next Generation HR is about continuing the movement towards best fit, so whereas the current generation of HR practice is about all moving together towards one view about effective HR practice, the next generation will be more differentiated – and more focused on the particular ways that HR can add and create most value in your particular organisation. Strengths Based HR - a focus on talents and appreciation etc. 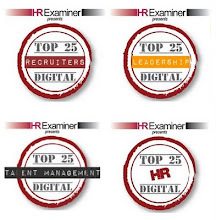 I’m obviously pleased to see HCM taking an early lead, but disappointed to see imagination based HR, one of my personal favourites, falling behind already!. However, I’m after your views here – you’ve probably had enough of mine. So please do select your personal favourite option(s) from the list – and if you’re voting for the ‘other’ category, perhaps add a comment to this post and let me know what you think I’ve missed. Reviewing which of these options make best sense for you is part of my Human Capital Planning process too. I’ll describe more about this process, and how I can support it, in my next post.